The September & October 2017 University Club (UC) Newsletter features SKH attorney, Anna Friedhoff, in its University Club member spotlight. 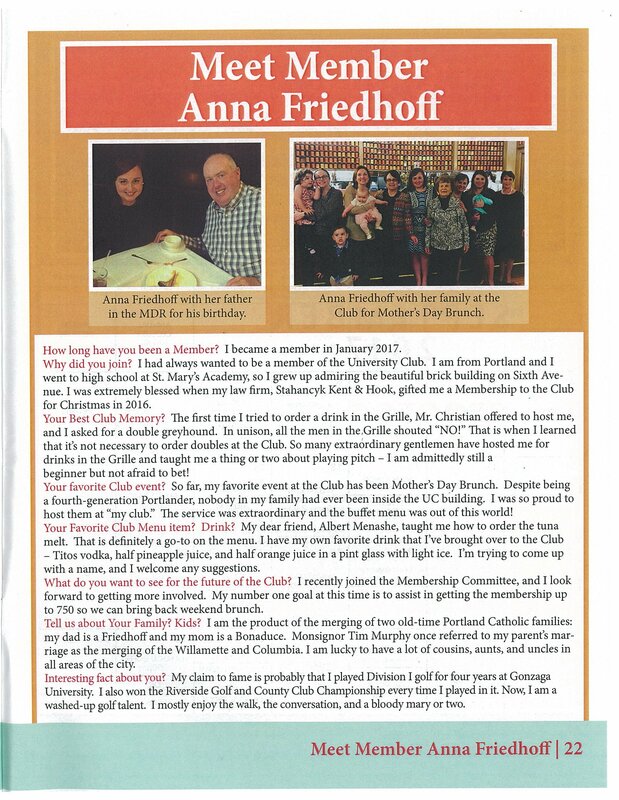 Ms. Friedhoff talks about her involvement, passion, and future expectations at the UC. 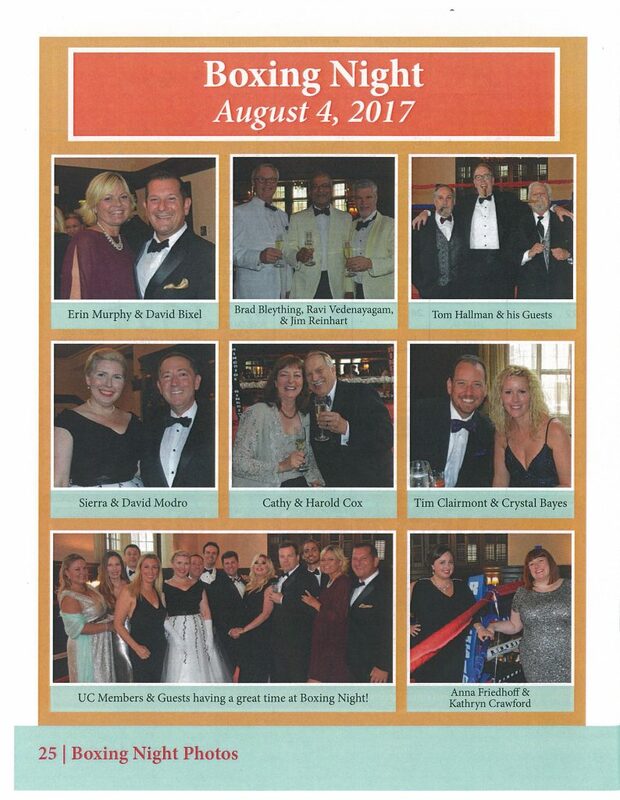 Additionally, Ms. Friedhoff is pictured at the UC’s most anticipated annual event, “Boxing Night.” As a relatively new member of the University Club, Anna shows great ambition and involvement; And we are extremely proud to have her at Stahancyk, Kent & Hook.